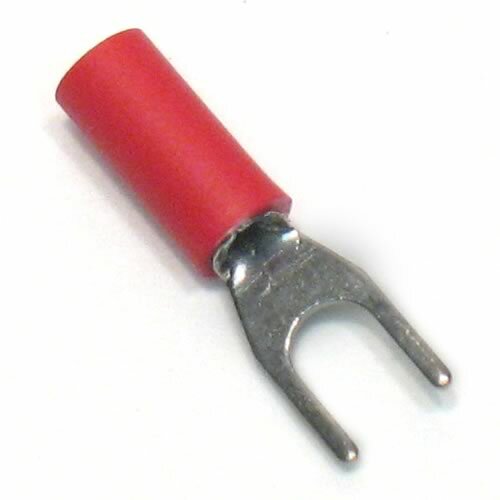 Red vinyl insulated terminal with spade as shown is made for 18 to 22 gauge wire use. Brand new, great quality - made by Install Edge. Sold in a bag of 100.